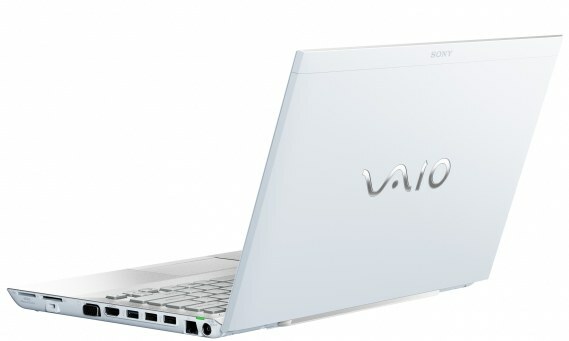 SAN DIEGO, March 7, 2011 Sony Electronics today announced the VAIO S Series laptop featuring the powerful performance of a larger full-sized PC packed into a thin one-inch profile design and 13.3-inch screen form factor. Incorporating all the mobility of VAIO laptops, this new line delivers ultimate portability and performance with the second generation Intel Core"! i5 and Core i7 processor coupled with Hybrid Graphics as well as dual channel solid state drive options (select models). Select S Series models sport a premium and elegant design in black or white with magnesium and aluminum materials, and all of them incorporate a built-in lithium polymer battery that when coupled with the all new and advanced large-capacity optional sheet battery, you can stay mobile and unplugged for up to 15 hours. Intelligent charging enables you to charge the optional sheet battery separately and attach it to the system without shutting down for maximum flexibility. We continue to raise the bar when it comes to the mobile computing experience, said Mike Lucas, senior vice president of Networked and Technologies and Services Division at Sony Electronics. The VAIO S Series laptop makes no compromises by offering the ultimate, full-featured ultra-mobile PC. Performance is top priority with the second generation Intel Core i7 and Core i5 processors that deliver even more performance automatically when you need it with a better visual PC experience built-in. With Intel Turbo Boost Technology 2.0, the processors increase speed automatically delivering the performance needed for multitasking. AMD Radeon"! HD 6630 1GB Hybrid Graphics card (select models) gives a performance boost to your day-to-day processor functions for a faster, more optimized overall computing experience while lowering power consumption. For maximum performance and mobility, select models features dual channel solid state drive with RAID 0 technology. 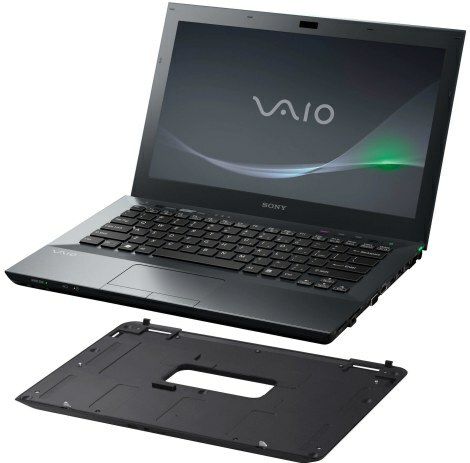 The S Series laptop comes with one-touch VAIO, ASSIST and WEB buttons, for launching Media Gallery"! software, VAIO Care"! software and access to the web without full boot-up into Windows, all with a touch of a button. All models incorporate backlit keyboards, illuminating the lettering for typing in low light situations. And with the built-in microphone you can video message with family, friends and coworkers. Face tracking technology allows the camera to automatically adjust focus and follow you as you move around while video chatting. Sony knows entertainment is always at the forefront and the VAIO S Series delivers. Whether you re watching a stunning Blu-ray Disc"! movie (select models) or enjoying video captured from your compatible camcorder. The versatile Blu-ray Disc drive on the VAIO S Series laptop (select models) combines the power of HD video playback with the convenience and utility of DVD and CD read/write functionalities. Providing the best picture and the best sound with stunning clarity, Blu-ray Disc technology is the ultimate way to enjoy your entertainment. With Intel Wireless Display 2.0, you can sit back and experience your favorite videos, photos and music on your TV. Stop crowding around a laptop screen and view and share content from your hard drive, home network or the internet wirelessly on your HDTV utilizing the adapter (sold separately).